I have never met anyone who does not like takeout noodles. 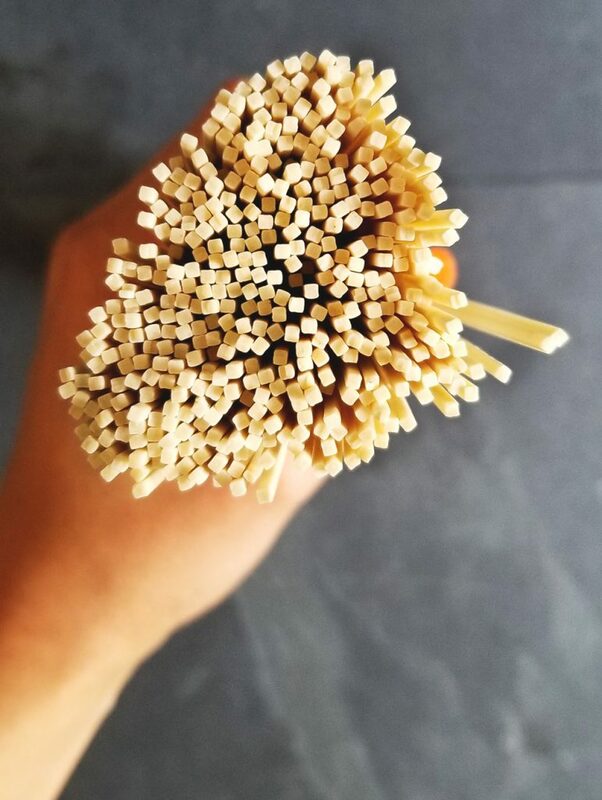 There is something about them, the chewy noodle, the salty sauce, the semi soft veggies that just makes you feel like staying on the couch in your pajamas and watching your favorite shows. And while sometimes I crave killer takeout, I am always a little hesitant because it never makes me feel good. It is normally completely saturated in grease and has more sweeteners and MSG than my body is use too. So I wanted to recreate one of my favorite Americanized Chinese foods, chow mein, but eliminate the grease and pack it with veggies. To start with, when buying chow mein or lo mein noodles make sure that you buy the variety without eggs. They are normally right next to each other in the grocery store, just look at the ingredients and find the egg free noodles. These can be found in the “international section” of most grocery stores if you do not have access to a Asian supermarket. Now I believe the secret to great takeout noodles is the salty savoriness of the sauce. Typical chow mein dishes have a very rich sauce with a great combination of salty, sweet, and savory or “umami”. They normally mix dark soy sauce, plenty of sugar or corn syrup, and oyster sauce which takes the rich savory flavor from the oysters and sometime MSG. Now I try to create and re-create dishes here at Best Version Vegan that contain very little additives, and obviously no animal products so grasping the flavor profile of this sauce was an adventure but by using the same flavor profiles I think I have found a great combination. 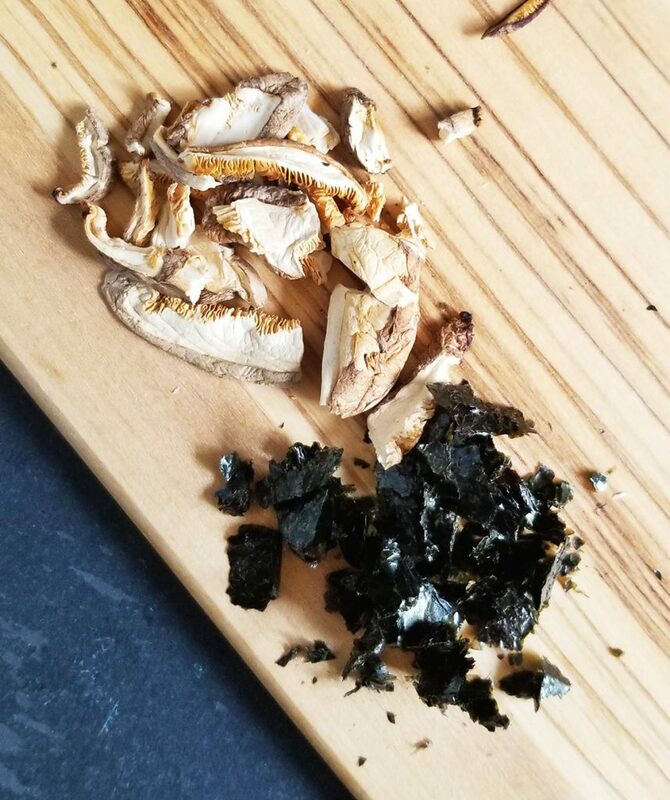 I use a small amount of dark brown sugar and molasses to get the sweetness, tamari for salt, and a mix of dried shiitake mushrooms and nori seaweed for the savory component. 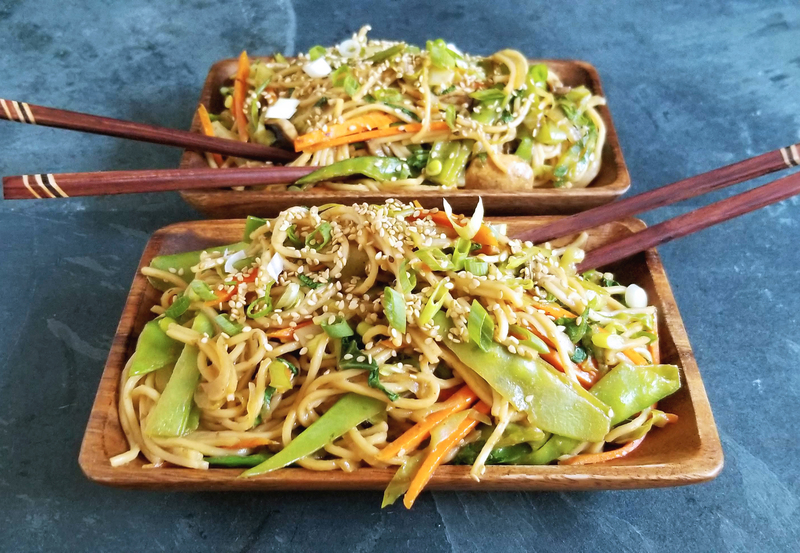 This combination along with the traditional flavors of garlic, ginger, sesame, and chili make a balanced and grease free sauce that coats the noodles and veggies beautifully, without being overpowering. 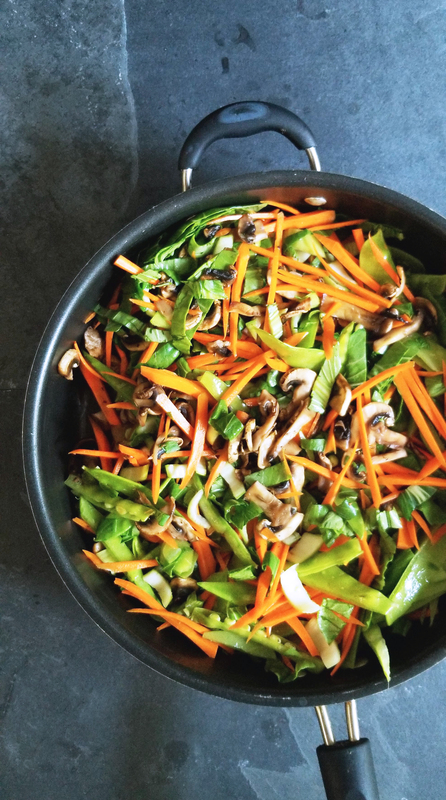 You can add in all of the veggies in this recipe or mix and match your favorites. 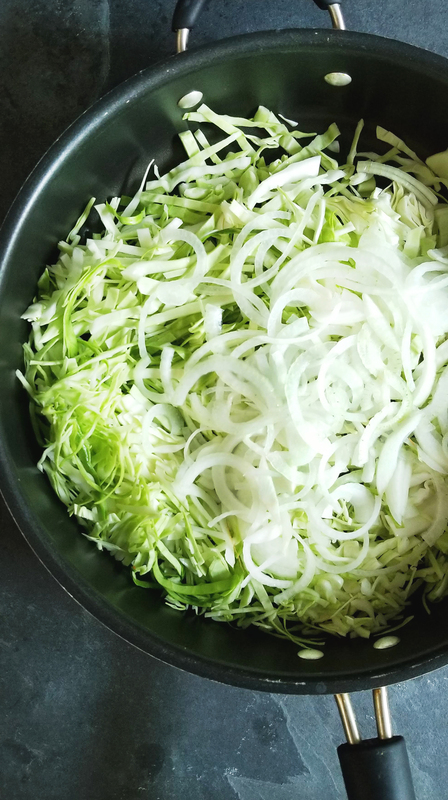 If you want this dish to feel a little lighter, go heavy on the cabbage, which is packed with fiber and low in calories. This dish is so easy to put together and is even better the next day cold or hot! Make a batch for a lazy date night, or to have some great leftovers for your noodle loving family. 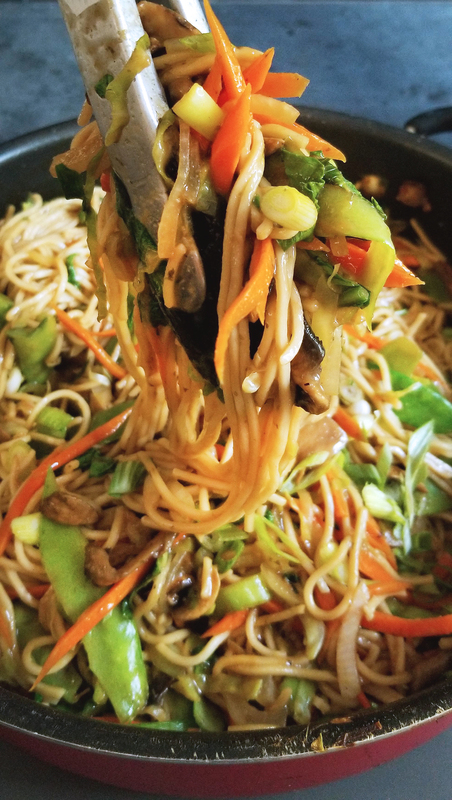 Delicious and savory home made chow mein noodles without all of the grease and MSG! This dish is packed with veggies and perfect for leftovers. Bring a large pot of water to a boil and cook the noodles according to the package directions. Drain and set aside. Add all sauce ingredients to a blender and blend on high until mixed together. This is mostly to break up the shitake mushrooms and the nori flakes. You can also use an immersion blender. In a large pan over medium high heat add the onions and cabbage with a splash of vegetable broth. Stir frequently until they begin to become translucent, about 5 minutes. Remove the mixture from the pan and set aside. Return the pan to the heat and add the sliced mushrooms, let them be for a few minutes until they begin to give off moisture. Stir them around (they should sound squeaky) and continue to cook them for another few minutes until they shrink and take on some color (about 5 minutes). Then add the carrots, snow peas, and bok choy with a splash vegetable broth to prevent sticking and cook until soft (about 2 minutes). Add the sauce to the pan of vegetables and cook for another minute, letting it thicken. Add in the noodles and cabbage/onion mixture and stir everything to combine. Finish with scallions and sesame seeds. *Nori flakes are just pieces taken from a nori seaweed sheet, the same one you buy for making sushi. I like to take a sheet or two and break it into pieces to store in a spice jar as flakes. These make a great savory addition to Asian bowls, noodles, rice, and vegetables.